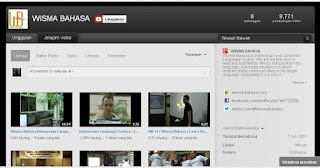 In this channel you can learn Bahasa Indonesia through picture and vocabularies, its good to download it and save it as your playlist in memorizing Bahasa Indonesia words. 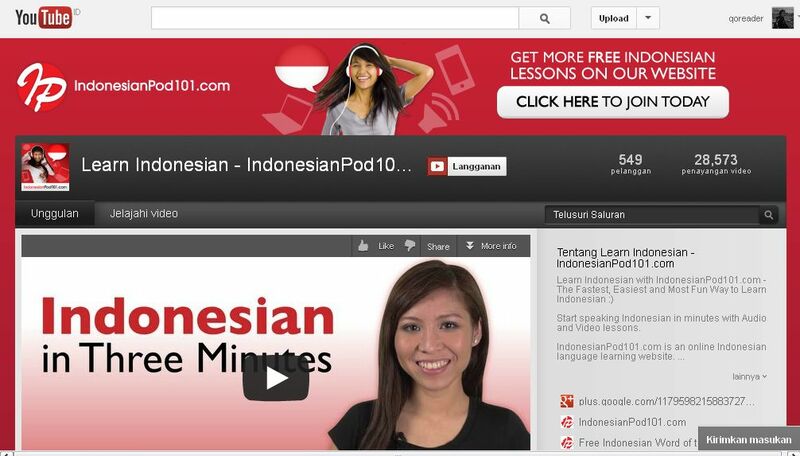 If you are interested to see Indonesian cultures and its explanation in English, this channel is for you. 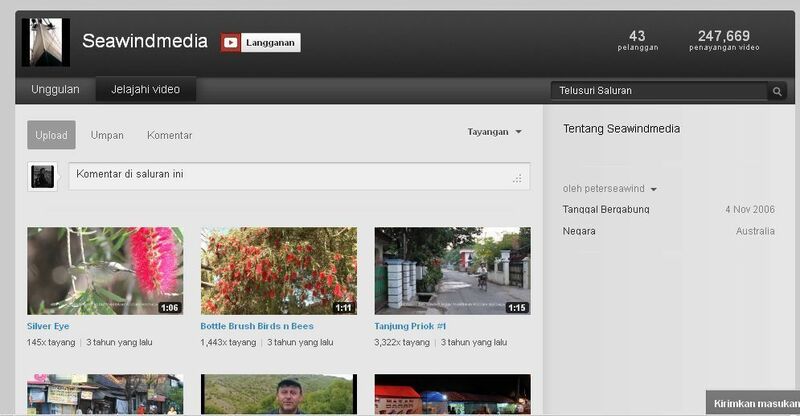 There are some videos which show about Indonesian living and places especially in Yogyakarta. Unfortunately, There is no more video uploaded. Its a school to learn Bahasa Indonesia, if you are willing to learn intensively, you may check the channel. 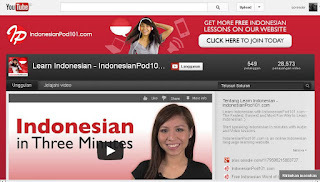 And the last is mine, i made 20 videos in understanding basic Indonesian grammar, there are also short conversation videos and list of vocabularies you can download. 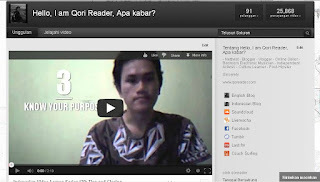 I made it just for fun, and i wont upload about Bahasa Indonesia anymore because its over and i fulfilled my promise to American friend to make it these videos for her. (I removed all of my videos here)*update 2018.